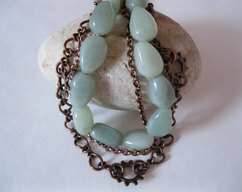 I had a bunch of copper bezels sitting around and a whole bunch of small Mexican crazy lace agates with no holes! Had an idea to set them in the copper bezel to make a more 3D pendant. 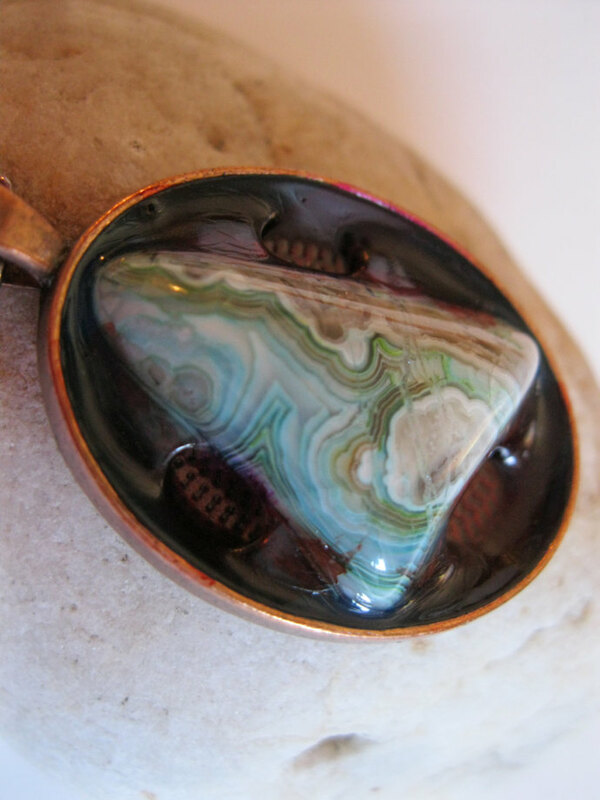 This particular polished agate has the most beautiful colors of green, white, brown, tan, different shades of green and the combination is just stunning! 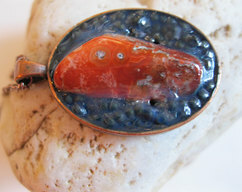 The stone is very vibrant in color. 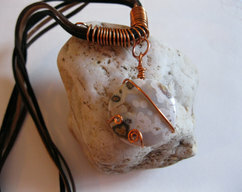 I filled the copper bezel with diamond glaze and dropped the green crazy lace agate in it. 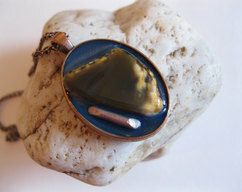 Since I didn't fill the bezel to the top, once it dried the resin pulled away from areas causing it to give it this look like the stone is sitting in water. I think the effect turned out quite stunning! Women can wear it longer and men can wear it shorter for the same fab effect! Perfect gift for that hard to shop for person in your life.